You can either buy the whole set of three plus box or you can buy each bottle sold separately (box would not be included). 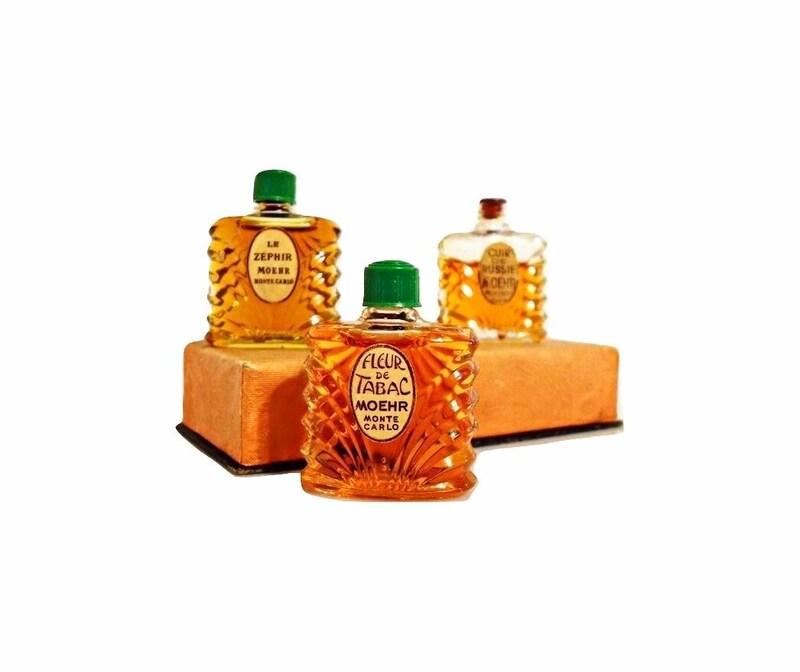 The bottles are clear, pressed glass molded with an Art Deco pattern. The bottles have screw closures. Two bottles retain their original green celluloid screw caps, one bottle is missing it's screw cap. 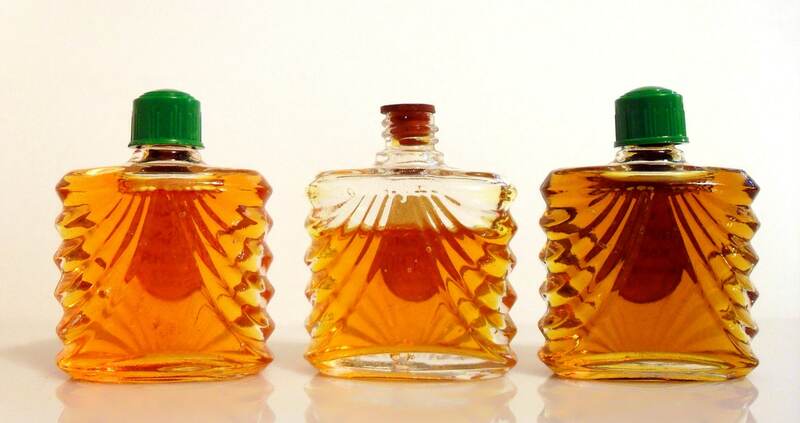 All bottles have a rubber plug inside the mouth of the bottle underneath the cap. This rubber cap is deteriorating and is becoming stuck to the underside of the screw cap. I will not attempt to remove the cap for fear of it breaking off into the mouth of the bottle. The bottle stands 1 and 11/16" tall without the screw cap in place. It measures 1 and 7/16" long x 1/2" wide. With the screw cap in place the bottle stands 1 and 15/16" tall. The bottles have oval paper labels, each label has some wear. 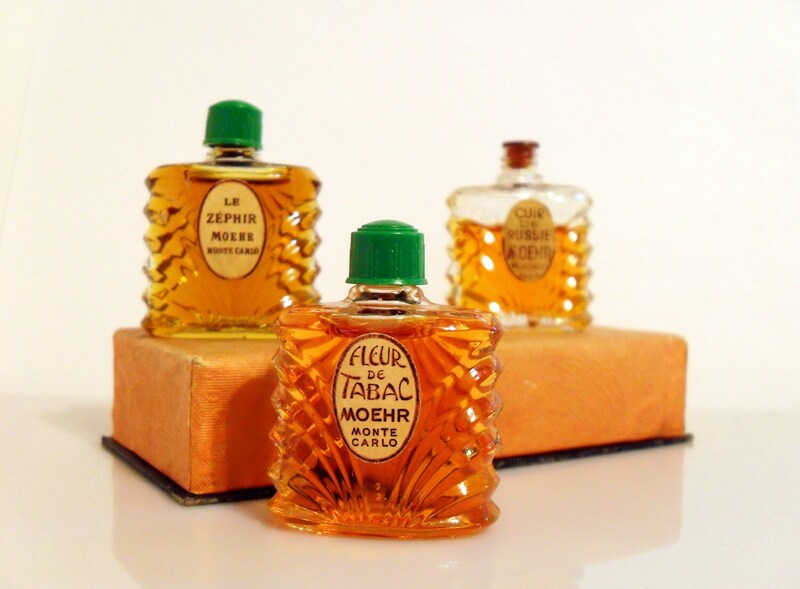 The Fleur de Tabac and the Le Zephir bottles are full of perfume, the Cuir de Russie bottle is about 75% full. There are numerous bubbles in the glass bottles. Moehr perfumery of Monte Carlo. It was established by Nestor Moehr and Georges Moehr. 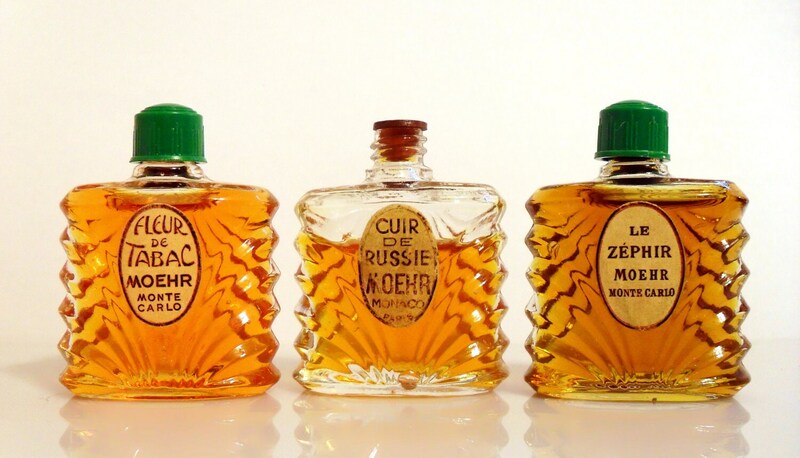 The perfume Le Zephir was launched in 1925 and Cuir de Russie and Fleur de Tabac were both launched around 1930. 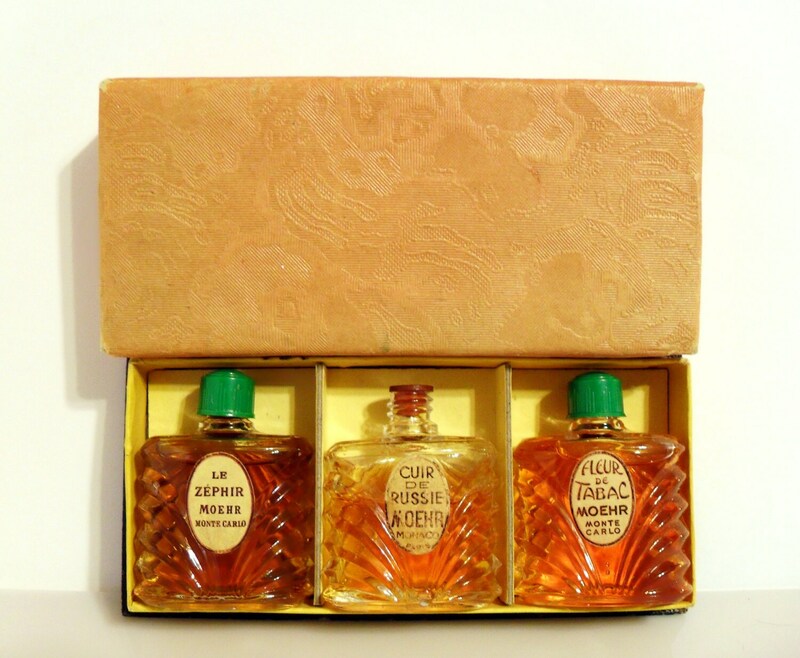 These are a rare to find and would make a nice addition to your perfume bottle collection.